When you are not sure what to watch, or read, you can always count on hollywoodlife.com to deliver some naughty celebrity news that will surely catch your attention. Here you have a kinds of topics, from naughty photo shoots or leaked images, to just your regular celebrity gossip. The site is made nicely, and you will have all the necessary tabs on top. There you can see different categories that you can browse, such as entertainment, celebrity bios, fashion, shopping… etc. Every single article will have a small description that you will surely want to read, and to the article you will have an attached file; a picture or a link to a clip. Usually, the articles will contain a whole gallery, which makes everything that much more fun to read! 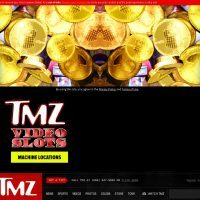 There is one tab called “Bonnie says”, and here you will see some of the best celebrity topics so far. For example, are you a fan of GOT? Well, here you might just find out if Daenerys will have a baby or not! There are also some news about other celebrities, like Trump, Harry Styles, Jada Pinkett-Smith and so on. If you are more interested about celebrities in general, you have a tab for just that. There you will get to pick from the presented celebrities, and you will get to learn a little bit about them; from their well-known albums or movies, to what they are best known for and their personal life. Simply put, while this site does not offer that many naughty articles, there are some if you really look for them. You can search for articles by the give categories, and the search box, but that’s about it. Overall, hollywoodlife.com is not a bad website for those who like to stay relevant to celebrity life!